The Spring Garden Competition is held early September each year conducted by the Coffs Harbour Garden Club (entry is free) and supported by Coffs Council. The competition is an exciting event on the Coffs calendar and garden enthusiasts really enjoy both entering and visiting the winning gardens (which will be open 16-17 September 2017). 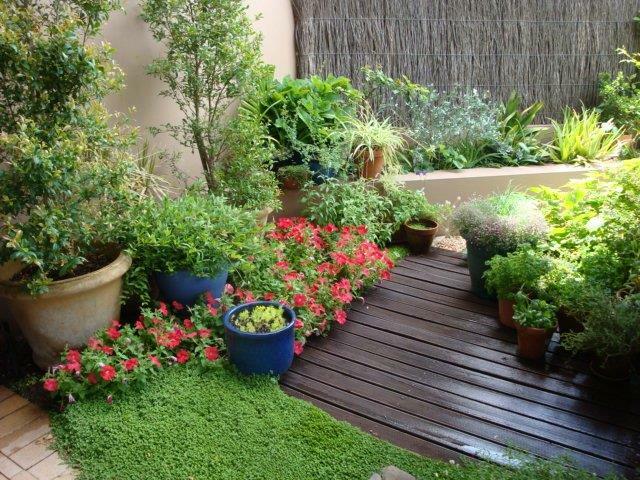 Waterwise Gardens - residential, industrial and commercial see this link for judging criteria for Waterwise categories. Residential - small, medium and large gardens, garden maintained by person 75 years or older, rental property, relocatable home, whole complex of body corporate structure garden, patio courtyard or balcony, garden maintained by disabled person, most attractive front garden, vegetable large and small, new home/new garden, and lastly best garden feature. Schools - whole school garden, native garden and vegetable. Industrial/Commercial/Community - whole garden, tourist accommodation, caravan parks, resorts, hospitals, churches, clubs and commercially operated retirement estates and nursing homes. Major points of consideration in judging are: Design, Condition and Selection of Plants, General Appeal and Lawn or mulch. There will be on-line and paper schedules/entry forms available from 29 July 2017. The paper schedules (with entry form) can be obtained from Total Gardens, Mitre 10 Woolgoolga and the Botanic Garden from 29 July. As we know, it takes more than a few weeks to prepare a garden for competition - perhaps now is the time to start thinking about what needs to be done in your garden. Advice can always be sought from any of our wonderful nurseries in the Coffs area, who are only too happy to assist. We're particularly fortunate to have Total Gardens as one of our competition's major and most loyal supporters. Julie and Paul have vast experience and are always prepared to generously share information with competitors. Sat 29 July Competition launch (Total Gardens, 10am-2pm). Schedules/Entry forms will be available and entries will be accepted from this date. Fri 1 September Last day for entry submissions (5pm close - no late entries accepted). Mon 4 September - Thu 7 September 'Rocket Launch' School Growing Competition Judging. What's In Those Little Sachets?